How to convince the audience that Bond is finally back, for real? Well, you have to take some elements from the older Bonds, and especially those from the Connery era. 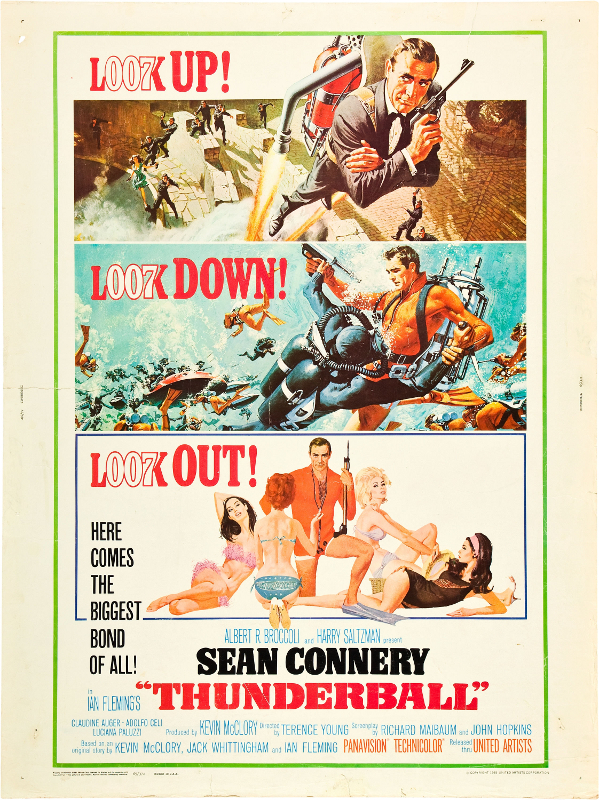 Remember that poster from Thunderball? Now, that’s a classic, with the three sentences « Look Up, Look Down, Look Out ». Simple, clever and very easy to remember. Plus, that’s a good way to show you some of the most interesting sequences of the movie, like the Jet Pack sequence or the Underwater battle. 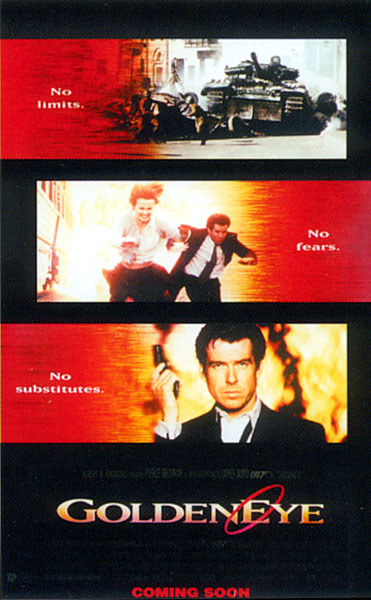 We have almost the same thing with GoldenEye, and before releasing the « official » poster with « You know the name, you know the number » as a catchphrase, they released a teaser poster (with a big, red « Coming Soon » written on it) similar to the spirit of the Thunderball one. Unfortunately, this poster is not available in high quality. So, I’ve decided to give it a chance, and made a similar poster under Photoshop. Even if I tried to make it look like exactly the original poster, I wasn’t able to solve some problems. For example, the shot of the Tank crushing police cars isn’t the same, as I couldn’t find the one used in the original poster. 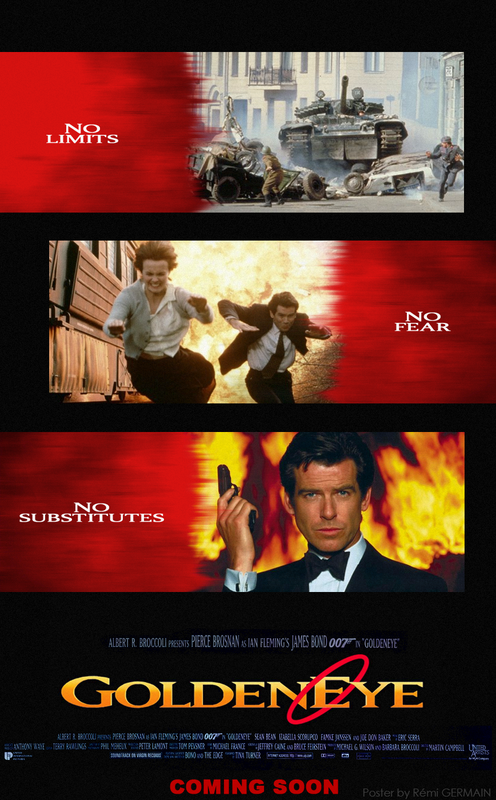 An other problem was the font: I used the free font « GoldenEye 007 » (available on Dafont), but this font doesn’t have any lower case letters. For the rest, making this one wasn’t that hard, and quite fun to do actually.